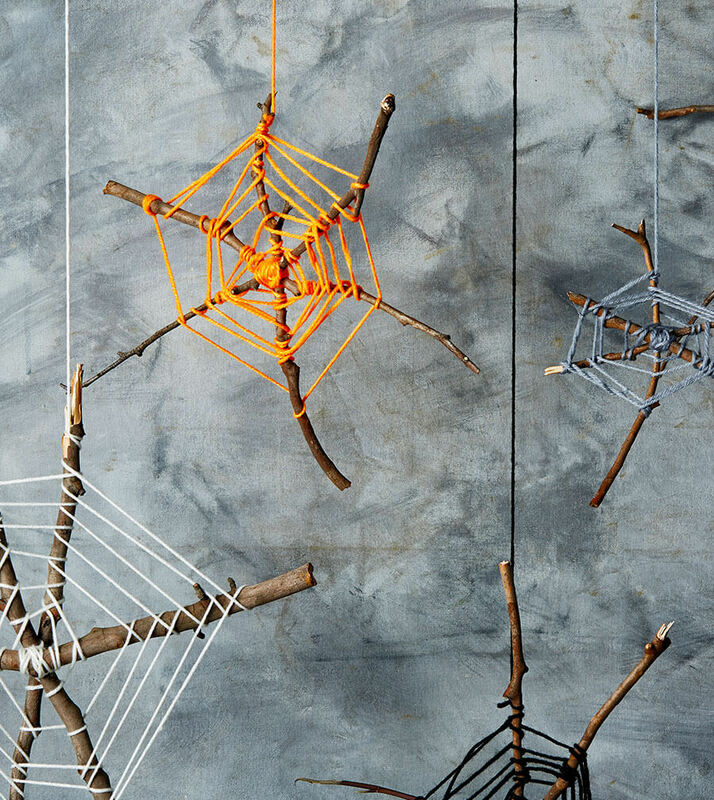 Get into the Halloween spirit with these spooky spider webs. Take the kids outside and collect some sticks. The bigger the sticks, the bigger the spider web. Keep in mind that bigger spider webs are harder to make, so your kids may need extra help to make them. You will need about 3 sticks for each spider web. Overlap your sticks to make the spokes of the spider web. Place the wool under the sticks. Move the wool diagonally between the gaps of two sticks and tie it. Move the wool diagonally through a different gap between two sticks and tie it again. Do this until all the diagonals have been securely tied. It’s now time to twist the wool around the sticks to make the spiral. Grab a long bit of wool. Tie it in the middle of the spokes and make sure it’s secure. Twist the wool around each stick. It doesn’t matter which way you twist it, as long as the wool goes around the stick and is pulled tight before moving onto the next stick. Be sure to keep the wool close together at the start of the spider web and move wider as you head out towards the edges of the sticks. Tie some yarn or string from one of the stick edges to hang. Decorate your place for Halloween! Hang your spiderwebs from a tree in your garden or in your window.